Anyway, back to my perfume… This is what Guerlain has to say about it: “Who can say that their heart has never capitulated and beat a retreat to the rhythm of La Chamade? 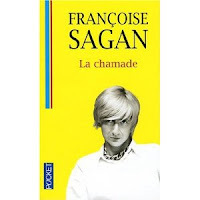 A heart that beats La Chamade is translating the effervescence of love, the moment when the heart capitulates in the face of emotional intensity. This perfume is a hymn to love that unfurls like the spring with equal grace, femininity and attraction. A concerto of flowers mixed with fruit, orchestrated by the softness of vanilla and oriental notes”. Well, I'm definitely musical! 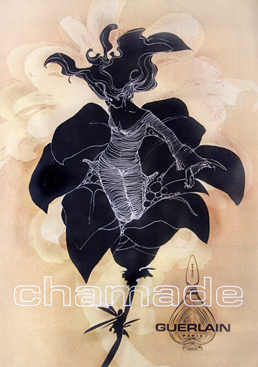 Purple prose indeed, but Chamade is a gorgeous scent that is always with me. Fortunately Escentual had 2 bottles of Chamade in stock and were able to deliver to me next day ~ phew! So what perfume do you wear and why? And what does your perfume say about you? I'd love to know! Another beautifully written, educational and delightful post, Erika! When I was young, I wore Cody's l'Origan, which was all I could afford at the time. When I 'grew up' (read married Joe), I discovered the joy of selecting just the right fragrance for me and after many experiments (some disastrous) chose one by Hermes (shame on me, I can't remember what it was called). La Chamade sounds amazing! I don't wear perfume, but I do like scented lotions. Japanese Cherry Blossom from Bath & Body is one of my favorites. People tend to forget how important a sense scent is!